She came to Hawai‘i from Tahiti seeking a new home for herself and her family. Starting on the most northern island of Ni‘ihau, she traveled down the island chain until she found a permanent home at Kïlauea on the island of Hawai‘i. Here, high above the sea her fires could burn eternally. Her visible spirit form can be a flame or cloud formation seen during an eruption. When she appears in human form she may be an old women or a beautiful young girl. Pele has an impetuous nature capable of sudden fury and great violence. Yet she can also be gentle and serene as her lush forests of ‘ōhi'a. To Hawaiians, Pele embodies the natural life force, possessing the power to create new land. 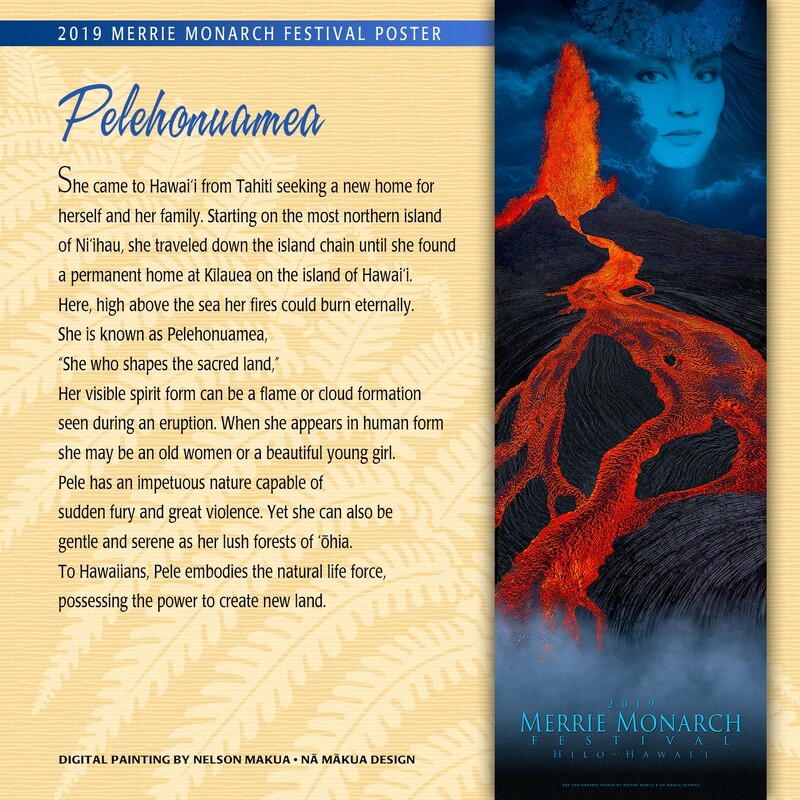 This image created by artist Nelson Makua for the 2019 Merrie Monarch Festival is dedicated to the Hawaiian fire goddess Pele.